Roon is a software application and a subscription is required. • manages digital music files collected on hard drives and networked storage. 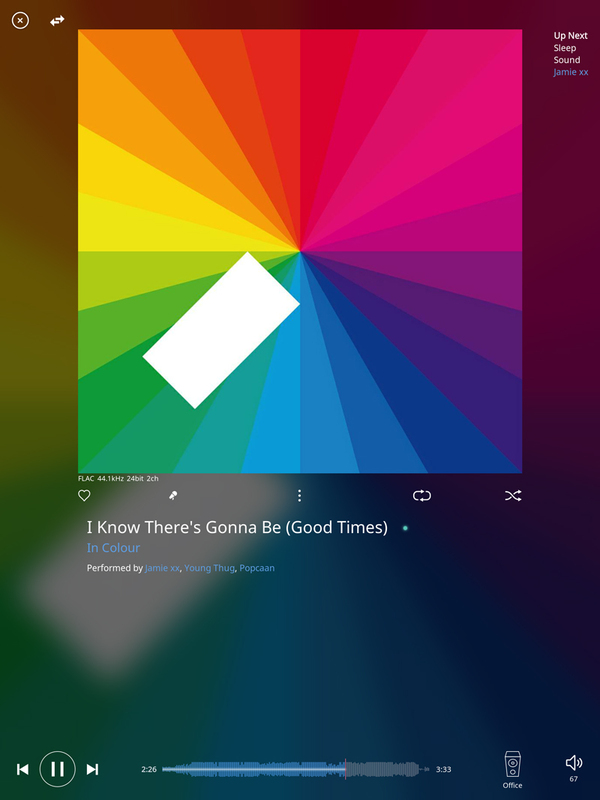 It can also watch your iTunes library, and optionally integrate with the music streaming service TIDAL. • cleans up your music library, upgrades the metadata associated with your music, and provides a user interface that is far richer than anything else out there. Roon makes music exploration and discovery both informative and fun. • provides no-compromise audio perfection. Bit-perfect playback of lossy and lossless file formats, including high-resolution audio content (PCM and DSD). Additional conveniences such as crossfading and volume normalization make it suitable for both concentrated listening sessions as well as social events. • manages your audio renderers (the things that make sound). Whether they be built-in sound devices, like your laptop's audio output, a USB connected DAC, or even networked audio devices. • is an application suite that must be installed. It is not a website. It runs on Macs, Windows PCs, and Tablets, Linux PCs, Android Tablets, Apple iPads, and iPhones. Support is provided on the Community Site, and membership details and configuration are provided on the Roon website. • uses your music files, Internet Radio streams, and content from the TIDAL streaming music service, but doesn't come with any music. DSP capability: All DSP functions available. The Nucleus is easily recommendable as it’s small, easy to accommodate and simply allows the software to work at its optimum. Your personal library just keeps growing and growing and it is just too easy to lose yourself for hours while listening to music you have never heard before. This just has to be one of the main reasons for owning a decent system. With a little over 90,000 files on my G-Technology drive, the Nucleus+ was very responsive when controlled by my iPad Pro. The overall sound of the Nucleus+ server was outstanding with no drop-outs or other system hang-ups. I tried several DSP features including upsampling everything to DSD256 using the Playback Designs MPD-8 Dream DAC. Again, performance was exemplary with no extraneous noises or noticeable sonic errors. The Nucleus+ provides an elegant, unparalleled plug and play one-box solution to digital library management, digital signal processing, and multi-room capability. I didn’t particularly feel that I needed a Nucleus in my life before I carried out this review but now I don’t want to live without one so I’ve put my money where my mouth is and the Nucleus+ is now a permanent part of my set up. And that’s the best recommendation I can give it, there was no going back.